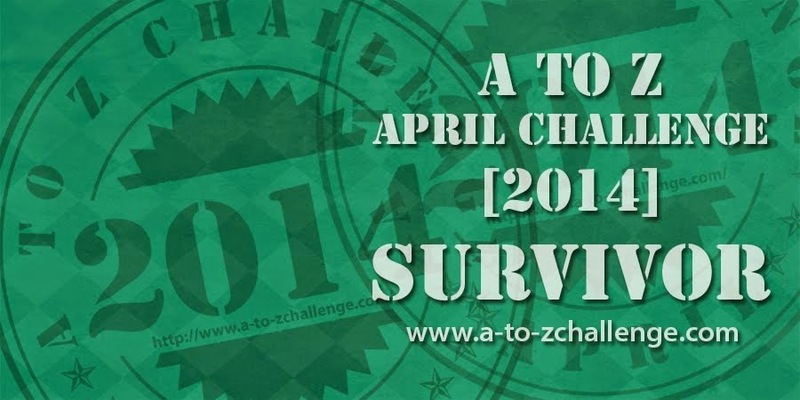 This post is part of the A to Z April Challenge. My theme for the month is ‘ Letters to my unborn child ‘. Of late, I dream of your features. Your smile. Your face. Your eyes. Who will you resemble? Me, your dad, your (late) paternal grandpa? What will the shade of your colour be? As much as I hate to bring to your attention about the concept of ‘skin colour’, being from the Indian community, I know I should be the first one who should teach you to appreciate all 64 shades of human skin. Being on lighter spectrum should not make you feel privileged neither should being on the darker spectrum make you feel inferior. I want to protect you from the notion of ‘Thin is beautiful’. But how can I when every bill board, advertisement and poster has a perky photo of size zero model?! Your waist size or height does not define you. Neither will it/should it be a measure of your worldly (and other-wordly) achievements and accomplishments. Deeply believe there are people in the world who will love you just as the way you are and not to go behind the ever changing notion of “beauty”. Your dad has a birthmark on the left side of his forehead and I adore that. There is no other person in the world who will have the same mark in the same place with the same shade. It makes him intensely unique. Celebrate your uniqueness, your features, and every thing that makes you ‘You’! A beautiful letter to baby! I love this idea for your theme. How I wish you’d follow through and catch up in the challenge. Life and work got in between. Then the thought that I am far behind made me feel like not updating. I shall try today. Thanks for the push.